As corporate technology leaders pursue digital transformation strategies, many seek out value-added resellers (VARs) to optimize their investments. This is the right call—as a VAR can often help organizations achieve initiatives that are very difficult, if not impossible, to pursue in-house. However, not all VARs are alike, one size doesn’t fit all and bigger doesn’t necessarily mean better. VARs come with a variety of personalities, many of which are detailed in this CIO article. We’d like to add to this list, letting you know exactly what to look for when you’re shopping for a VAR partner. First and foremost, working with a VAR is a wise step toward digital transformation. Consider this example: Your boss asks you to recycle your conferencing software and upgrade to video options. Your budget is $10K, and you have one month to complete the project. Go. In this scenario, if you’re like most people, you have no idea where to start. This is where a VAR shines. They provide specific advice on problems most businesses struggle to solve on their own. With a VAR, you get a 100% dedicated resource, and you don’t have to pay someone on your team to complete the initiative. Most companies move to digital solutions because going digital helps optimize operations and spend. For example, many cloud services are subscription-based, so you can upgrade software and bandwidth as needed and only pay for what you use. However, if you’re looking for a cloud solution and your VAR turns around with, “Yes, we have a cloud solution,” that should be a red flag. They should have 100 solutions. Not only should your VAR partner have an abundance of options to offer, those options should be tailored specifically to your organization’s needs. If you want to house data in a facility that’s close to your office, that should be an option. If you’re curious about current digital trends, check out this blog: Five Digital Trends to Consider for 2018. Naturally, with the right VAR the conversation should shift from “what do you want” to “what do you specifically need.” You want to work with a provider who really understands and has access to options. Not only should a VAR offer custom solutions and support throughout the buying cycle, they should provide ongoing support long after contracts have been signed and technology has been implemented. As a VAR, they need to offer “value,” and that means providing impeccable support. At Select Communications, all of our customers have a single point of contact they can call throughout the lifecycle of their investment with us. On top of that, if staff members require training to implement the new technology, we provide it. If your VAR isn’t adding value, then what’s the point? We all want to save money. Because VARs have access to prices at cost, they shouldn’t be charging retail prices to their customers. And “cost savings” are about more than money. You don’t want to be sold the cheapest products that come with equally cheap service. You want to make a good investment that scales. We have a lot of opinions about how we stand up to these values as an advisor on cloud, network, security and collaboration solutions. 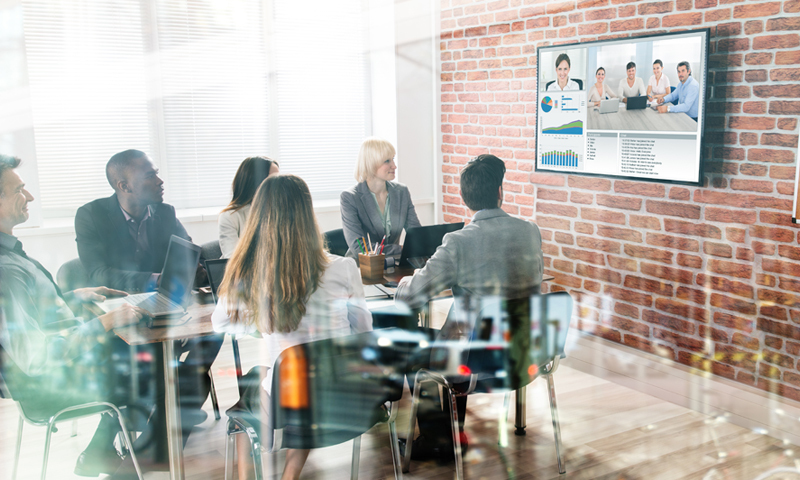 To learn more about how we do it, call us at (855) 520-4500, and we’ll help uncover where your current conferencing and collaboration solutions are falling short.